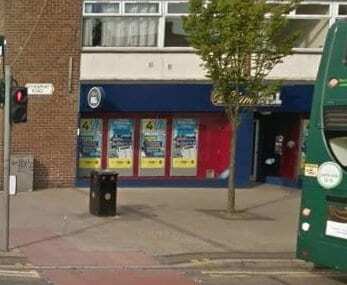 Here you can find all the details about the William Hill betting shop at 988/990 Stockport Road in Manchester. This page shows the location of the shop as well as the opening hours and information on current deals available. 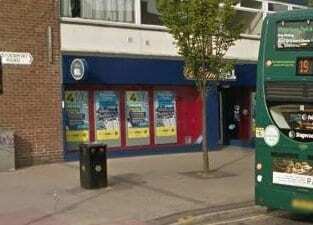 Below is the current map listing for the William Hill branch on Stockport Road in Manchester. Check it out if you’d like to pay a visit and place bets on the latest sporting events. 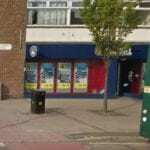 Here are some photos of the shop so you can see where it is located on the high street. 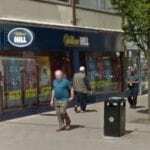 There are several other shops and services in the same area. 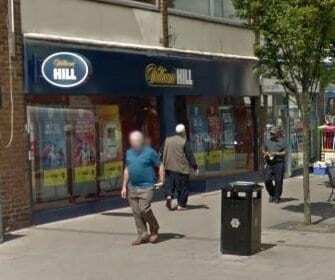 Click here to see a list of the other William Hill bookmakers shops across the UK. 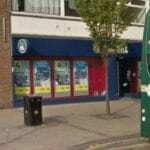 William Hill is a licensed Betting Shop located at 988-990 Stockport Road in MANCHESTER M19 3WN. The license status: Grant by Manchester City Council as at 24/10/2011. Manchester is a city and metropolitan borough in Greater Manchester, England, with a population of 545,500 as of 2017. It lies within the United Kingdom’s third-most populous metropolitan area, with a population of 3.2 million. Manchester is fringed by the Cheshire Plain to the south, the Pennines to the north and east, and an arc of towns with which it forms a continuous conurbation. The local authority is Manchester City Council. Manchester is well known for being a city of sport. Two decorated Premier League football clubs bear the city name – Manchester United and Manchester City. Although Manchester United play its home games at Old Trafford, in the neighbouring Greater Manchester borough of Trafford, the largest club football ground in the United Kingdom. There are many opportunities to bet on football matches particularly at William Hill both online and in their shops. Manchester City’s home ground is the City of Manchester Stadium (also known as the Etihad Stadium for sponsorship purposes); its former ground, Maine Road was demolished in 2003. The City of Manchester Stadium was initially built as the main athletics stadium for the 2002 Commonwealth Games and was subsequently reconfigured into a football stadium before Manchester City’s arrival. Manchester has hosted domestic, continental and international football competitions at Fallowfield Stadium, Maine Road, Old Trafford and the City of Manchester Stadium. Competitions hosted in city include the FIFA World Cup (1966), UEFA European Football Championship (1996), Olympic Football (2012), UEFA Champions League Final (2003), UEFA Cup Final (2008), four FA Cup Finals (1893, 1911, 1915, 1970) and three League Cup Finals (1977, 1978, 1984). First class sporting facilities were built for the 2002 Commonwealth Games, including the City of Manchester Stadium, the National Squash Centre and the Manchester Aquatics Centre. Manchester has competed twice to host the Olympic Games, beaten by Atlanta for 1996 and Sydney for 2000. The National Cycling Centre includes a velodrome, BMX Arena and Mountainbike trials and is the home of British Cycling, UCI ProTeam Team Sky and Sky Track Cycling. The Manchester Velodrome was built as a part of the bid for the 2000 games and has become a catalyst for British success in cycling. The velodrome hosted the UCI Track Cycling World Championships for a record third time in 2008. The National Indoor BMX Arena (2,000 capacity) adjacent to the velodrome opened in 2011. The Manchester Arena hosted the FINA World Swimming Championships in 2008. Manchester Cricket Club evolved into Lancashire County Cricket Club and play at Old Trafford Cricket Ground. If interested in cricket, make sure you don’t miss out on the best cricket betting odds. Manchester also hosted the World Squash Championships in 2008, and also hosted the 2010 World Lacrosse Championship in July 2010. Recent sporting events hosted by Manchester include the 2013 Ashes series, 2013 Rugby League World Cup and the 2015 Rugby World Cup. Make sure to look at the best rugby league bet sites before you place any bets.